Jenna T: Went from a 1:57 PR in the Half Marathon to a 1:44:38 PR at the Brooklyn Half Marathon. 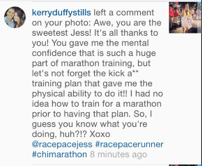 Read Part I & Part 2 of her race recap. Gabby: Ran a speedier mile than she ever thought she could at the NYRR’s 5th Avenue Mile and also ran her first marathon while grinning ear to ear. 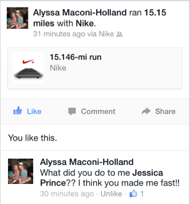 Read both her 5th Avenue Mile and New York City Marathon race recaps! 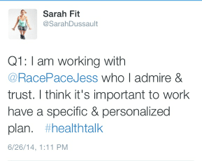 Jess D: Set a 2:00 PR despite getting sick on the course at the New York City Marathon in 2014. Jen G: Grew so much as a runner by setting a huge PR in the 5k, running her 1st marathon and going sub 2:00:00 in the Half marathon despite a crazy schedule of completing law school, studying for the bar and working as a 1st year. Read her recaps below.